What does New York’s historical community want? In the wake of NYSHA’s demise, Ken Jackson and his colleagues have addressed an open letter of concern and protest. Peter Feinman included the letter in a recent post and followed with a response from Paul D’Ambrosio in another post. John Warren continues to report on developments, attesting to the essential importance of the New York History Blog. I recently reported on a petition initiated by the New York Academy of History in support of local and state history. 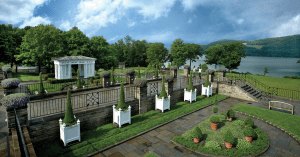 Much of the details of the letter were against recent actions of the New York State Historical Association (NYSHA), an organization that has undergone some changes in 2017 as reported in New York History Blog by editor John Warren and columnist/advocate Bruce Dearstyne. 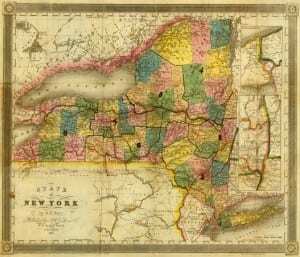 New York missed its 240th birthday on April 22, the date the first state constitution was promulgated and the state came into existence in 1777. There were no official commemorations so far as I know. This would have been a particularly opportune time for attention to the state’s founding document since New Yorkers will be voting in November on whether to authorize a constitutional convention to revise or replace the current one. This fall would be a good time to commemorate other events, including the election of the first governor and legislature and the launching of the state’s government in the first capital, Kingston, by the end of 1777. These potential opportunities to promote state and local history point again to the need for a statewide history association, committee or group to supplement the excellent work being done by the State Historian, the State Museum, the State Archives and other public history programs. After nearly 120 years, the New York State Historical Association (NYSHA) is no more. On March 13, 2017, the State Board of Regents approved NYSHA’s request to amend its charter to change its name to Fenimore Art Museum, revise its corporate purposes, designate the Commissioner of Education as agent for corporation service; and update the organization’s IRS dissolution language (pdf link).